Tokyo is an extremely urban metropolis, with its neon-drenched streets but at its heart, the city has an old spirit and deep respect or its traditions. One moment you’re in awe of the futuristic skyscraper but the next you’re drinking traditionally prepared greed tea in a humble tea house. Either way, this city promises adventure and a look into the much disciplined Japanese Culture. Is it an expensive city? It honestly depends. Tokyo is the heart of Japan and is designed to accommodate people of varying financial means. It can be cheaper and pricier than London and New York so it all depends on you. How to enjoy an affordable trip? Start off by visiting cheap flights booking websites. Once that’s done, try to look for cheap accommodation. 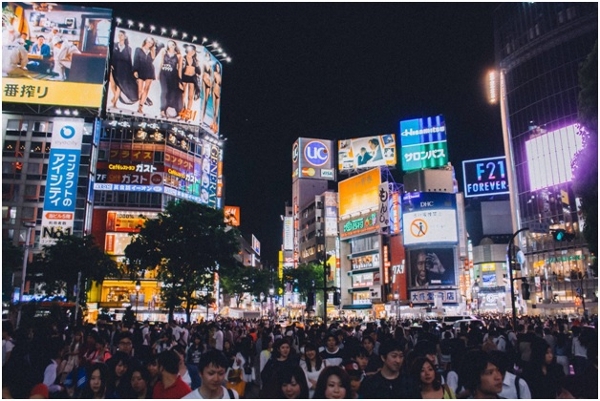 Avoid the peak times and focus on Ueno and Asakusa districts for a cheaper place to stay. Or my personal favorite, book a room in a ryokan, a traditional Japanese Inn for a more immersive experience on a budget. Focus on the more humble and traditional eateries. Try Teishoku, a set-course meal, which has meat and vegetables and a super cheap rate. Or try one of the many stand-and-eat noodle bars. You don’t have to worry about quality too much as Japanese chefs tend to use fresh produce. If you look for lunch specials then you can eat at an expensive restaurant at an unbelievably cheap price. Overall, there are a lot of places you can eat at a cheaper price. The Japanese culture, both traditional and popular modern one, can drain your wallet so fast you will only be left with a bag full of goodies. Best way to shop around is to look for places with tax-free items. There are a lot of hyaku-en (¥100) stores, where you can find all sorts of items at a super good price. Japan is also known for its vending machines. So you should get a train pre-paid card that you can also use with these vending machines as well as convenience stores. Tokyo has a lot to offer. I think exploring it by taking the public transit train and then walking around is a great way to truly experience this giant bustling city. One of my favorite districts is Akihabara. With its neon ads, colorful streets, awesome anime culture, video-games, and electronics. It is like everything I love has been combined in one place. Then there is Harajuku, with its vibrant and unique street fashions. You can get inspired or even take part and maybe have you stylish photo by the countless photographers hanging around. Honestly, even if you don’t spend any money, Tokyo has a lot to offer. Just by strolling around the city, you can have a memorable time. However, there are plenty of things that you can enjoy for free. Even though Tokyo Imperial Palace isn’t normally open to the public but you can visit its East Gardens except Mondays and Fridays. Also, a trip to Tokyo cannot be complete without visiting the Sensō-Ji Temple, located in the Asakusa area. This Buddhist temple was built in 628 for Kannon, the goddess of mercy and is free to visit. You are required to be very respectful though as it is quite an important place. Another temple you can visit for free is the famed Meiji Shrine located in the Shibuya district. It is dedicated to Emperor Meiji and his wife, Empress Shōken, however, the emperor’s grave is located in Fushimi-momoyama, south of Kyoto. Nakamise, which is a shopping street is also quite popular as you can buy snacks and souvenirs on your way to the temple. Recently opened Asakusa Culture Tourist Information Center will give you a great view of the temple grounds, which is great for pictures and also of the Tokyo Skytree, which is across the Sumida River. If you really want to feel the “old Tokyo” feel, then head over to Yanaka Ginza. There are no skyscrapers here and it is mostly a peaceful residential area but it’ll let you experience the peaceful side of Japan. Nearby, there’s the Yanaka Cemetery, which is very picturesque in Cherry Blossom season. But to tell you the truth, most of Japan get this ethereal, oriental look in the Cherry Blossom season. Similarly, you can get a Grutt Pass that’ll let you get a discounted entry at around 80 attractions around the city. The pass isn’t even expensive so I say it’s a great deal.